Security is nowhere more important than in a correctional facility, where convicted criminals are contained away from society. It’s critical that the facility be tightly secured, to ensure that prisoners do not escape or create other risks. As such, correctional facilities have often been at the forefront of security technology and procedure, even as they have evolved and changed. Many shifts are occurring in the modern day correctional industry, such as changes in methodology as the industry becomes more privatized and increased focus on minimum and lower-security facilities. As prison populations continue to rise, it’s increasingly important to properly secure the changing correctional landscape. Gone are the days when a guard on their rounds or a taut-wire installed on top of a wall are the only security in place in a correctional environment. Today, correctional facility security is often a high-technology operation, with officers operating both the physical and technological components of the system. High-definition video surveillance, complex locking systems, and highly trained guards operate hand in hand to ensure that prisoners keep to designated areas, do not commit physical violence, and do not attempt to escape. These technologies have come a long way since the advent of the prison system. However, many procedures have remained the same, such as the use of physical keys and locks. Modern keys, such as keycards, PINs and biometric scanning, provide many conveniences, the biggest being that you do not need to carry the physical key with you. However, for correctional facilities, the physical key can be an added measure of security—it is, in many cases (such as the famous Folger Adam key, designed to be cumbersome and heavy), more difficult for prisoners to steal or secrete away on their person. In addition, a physical key often takes longer to use and requires more force than a digital key, giving guards and security officers precious time to respond in case of an escape attempt. This does not mean, however, that technology has presented no boon to correctional facilities utilizing physical keys. Managing the numerous keys involved in security a correctional facility is a complex operation that requires stringent security of its own, to ensure that only properly authorized guards or other officers hold keys on their person, and only when necessary. Key control and key control systems have therefore been implemented in numerous correctional operations to organize and secure the usage of keys while making the entire operation more efficient. Key control and key management solutions provide accountability in addition to access control by providing not only storage and security, but tracking and organization. Key cabinets and the keys within them can be designated to only certain guards or other authorized users, and the system can denote when a key hasn’t been returned on time or if it was returned by an unauthorized user for that key. These systems can also be formatted for use with key rings, making it easy for guards to access all of their keys, while still providing the security of key management. These systems help to create an easily auditable system to ensure that officers are only accessing authorized keys and that those keys are all returned and secured properly throughout the correctional facility. They can provide reports within the system as to which keys are being removed when and by whom, and can send alarms to users under a variety of improper access circumstances. In addition, guard tour systems within the key control system that require regular input codes can help to ensure that correctional officers make their proper rounds, while providing documentation to that effect. Correctional facilities are some of our most critical physical security operations, requiring a combination of old wisdom and new technology to run smoothly and securely. 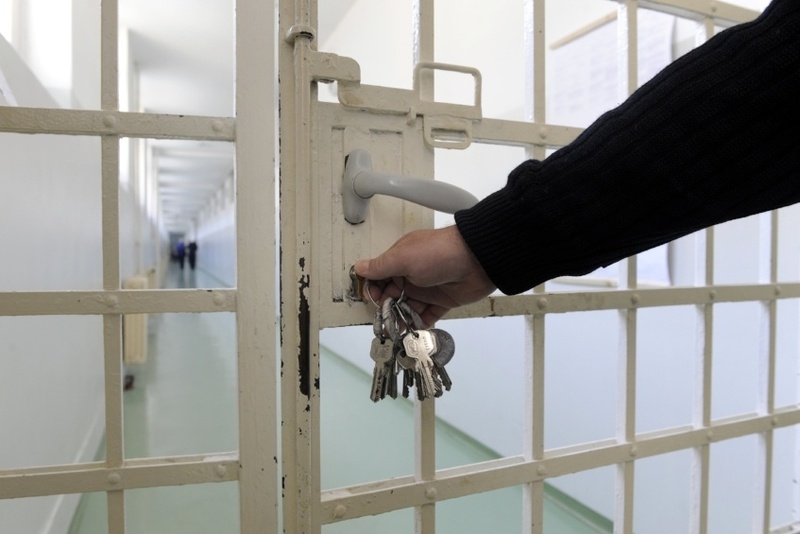 While physical keys have provided security to correctional facilities for hundreds of years, the methods of securing those keys have improved with the digital age, helping to make overall correctional security tighter and safer.